Whistler, British Columbia is truly the height of excellence. World-renowned ski slopes are matched only by spectacular golf courses, white water rapids and superb accommodations and restaurants at one of the best vacation destinations. Over 7000 acres of skiable terrain and the longest ski season in Canada, Whistler prides itself on an incredible experience for the skier or snowboarder. Pristine Mountain views surround the village of Whistler. At the village elevation of 2190ft/ 668 metres or the peak elevation of 7160ft/ 2182 metres, Whistler is an oasis that is above it all. With unlimited adventure, or beautiful scenery to relax and enjoy year round, Whistler is the perfect getaway spot. 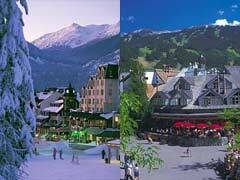 Whistler village also boasts great shopping, amazing restaurants and lots of nightlife. Relax and rejuvenate at one of the many luxurious spas in the village or seek some of the adventures outside the village. Winter adventures include dog sledding, snowmobiling, snowshoeing, as well as skiing and snowboarding. 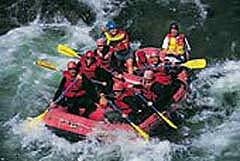 Summer activities include golf, horseback riding, white-water rafting, kayaking, swimming and hiking. Just a two-hour drive or a short local flight from Vancouver, Whistler is an easily reached adventure destination. Platinum Vacations would love to help you plan your mountain getaway.